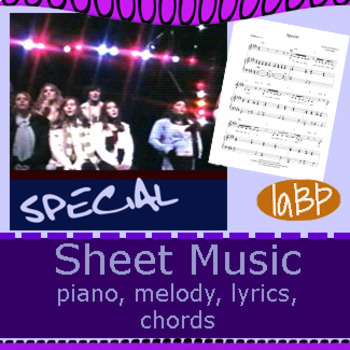 Special is one of our most meaningful songs. It was my own choir's favorite song of all time. It's very easy to perform with a small group, a large group, a solo singer... The message works, the music works. Everyone always relates. Special sets a magical mood and seems to speak to everyone.